Amateur, semi-professional and professional photographers from around the world are most welcome to take part in the project to help us raise awareness about the issue while building their portfolios. Step 1: Contact The Pixel Project to let us know that you wish to take part and when you plan to have your “People and Pets say NO!” photo shoot(s). Just email us at pixelprojectteam@gmail.com and we will send you the necessary briefing and model release forms for your use as well as add you to our “Meet The Photographers” section and help let our supporters know about your upcoming photo shoot via our social media networks. Step 2: Organise your photo shoot – Get your clients, friends and family members with pets organised one weekend for the shoot. Step 3: Complete your photo shoot by 30 September 2018. Then send us two sets of your “People and Pets say NO!” pictures in hi-res (1MB per picture) – one set with your logo watermark on the bottom right hand corner of each picture, one set without the logo watermark. Step 4: Your pictures published! 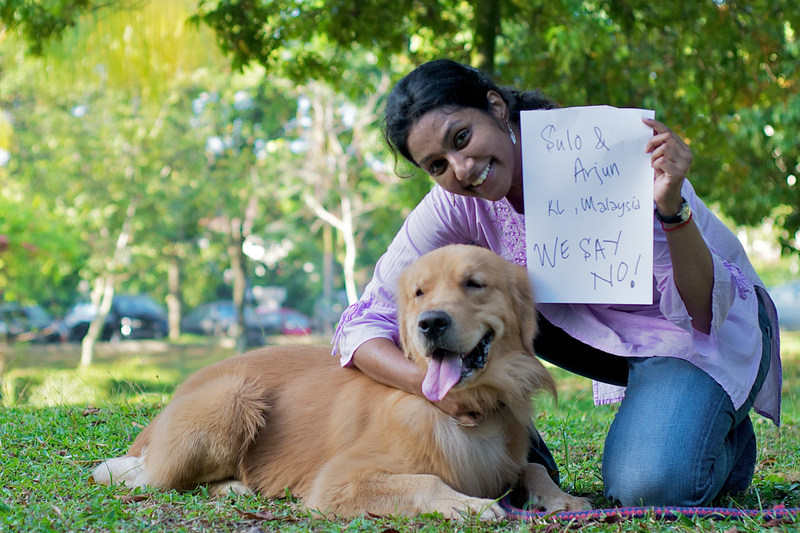 We’ll add your submitted pictures to our 2016 “People and Pets say NO!” galleries on Pinterest, Facebook and Flickr.